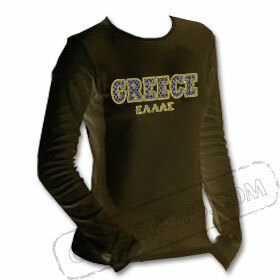 Emboidered looking GREECE shirt. Various silkscreen images from Greek culture. 100% cottton.